IK Multimedia updated AmpliTube and AmpliTube for iPad with a new Live Mode interface that gives you all of the essential controls in one layout. 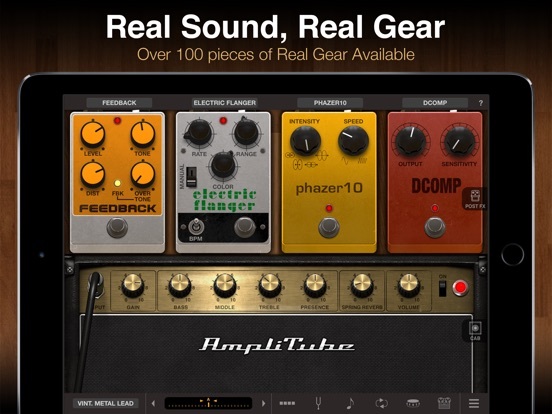 The update also includes support for the upcoming iRig Stomp I/O audio/MIDI interface for iOS. The new iRig Stomp I/O is $300 and available for order today. They are going to be shipping within the next couple of weeks. There are already a lot of videos for it from the last NAMM, but they're also showing it off right now at Musikmesse. Nick Batt from Sonic State got an update on the final specs, and Tom from Synth Anatomy also stopped by the booth. Embedded here is the official trailer.